As federal workers continue to go without pay in the nation’s longest government shutdown on record, congressional staffers have predicted it will take a situation causing nationwide panic to bring it to an end. 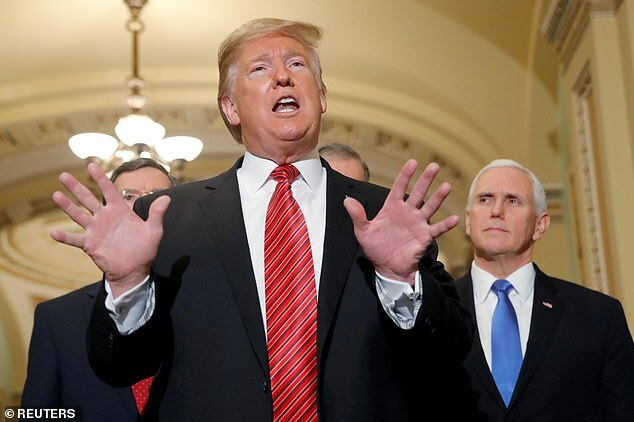 President Donald Trump, Speaker of the House Nancy Pelosi and Senate Minority Leader Chuck Schumer remain at odds over Trump’s requested $5 billion to fund a border wall, which has delayed the passing of a spending bill that would reopen government. Support staff told The Atlantic, on condition of anonymity, that they guess it will take something like a widespread food safety scare, plane crash or terrorist attack to get both sides to compromise on a budget that’s needed to get things up and running again. The Republican-controlled Senate, however, could cooperate with House Democrats to bring the shutdown to an end, but Majority Leader Mitch McConnell won’t allow it. The agencies that are affected by the shutdown right now are the Environmental Protection Agency, the IRS, and the departments of State, Housing and Urban Development; Treasury; Agriculture; Commerce; Interior; Justice; and Homeland Security. Funding for food stamps will run out in March, which one senior Republican Senate staffer said may be enough to finally bring the stalemate to an end. Beyond the bottom line of major businesses, Republican strategist Doug Heye noted lapses in inspections by the FDA could causes enough uproar to make Congress and the president act.